The Illusionists have magic to do on Broadway for the third consecutive holiday season. 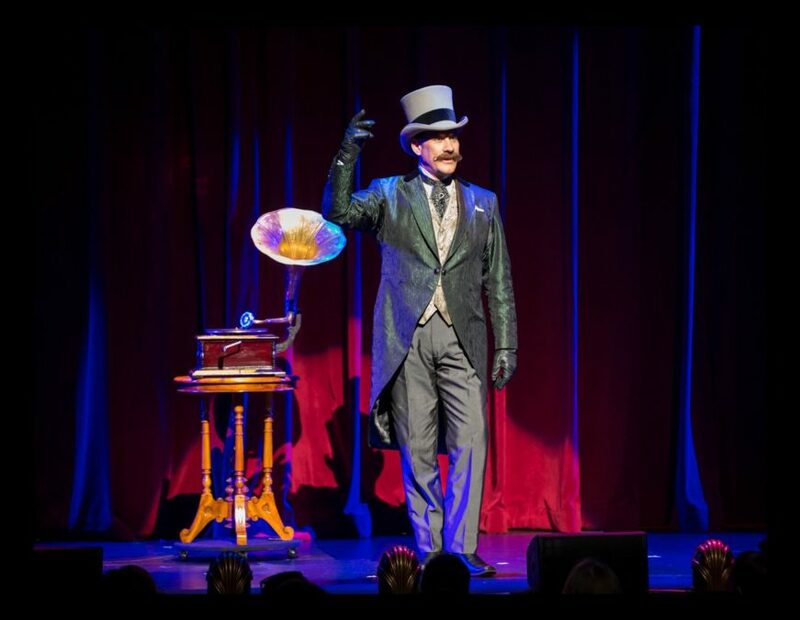 The Illusionists: Turn of the Century will play a limited engagement November 25 through January 1, 2017 at the Lunt-Fontanne Theater. The show is centered in a time when conjurers were the true rock stars of the day. Showcasing the origins of some of the greatest and most dangerous illusions ever built, the show also unveils never-before-seen experiments drawn from a treasure trove of long-forgotten mysteries. Audiences are invited to discover first-hand the spectacles that transformed stage entertainment over 100 years ago with a cast of world famous magicians playing incredible characters, each of whom embodies a magical great of the past. The cast will feature Dana Daniels (The Charlatan), Charlie Frye (The Eccentric), Mark Kalin (The Showman), Jinger Leigh (The Conjuress), Thommy Ten and Amélie van Tass (The Clairvoyants), Justo Thaus Jin (The Grand Carlini), and Rick Thomas (The Immortal), joined by returning audience favorite Jonathan Goodwin (The Daredevil). The Lunt-Fontanne is currently home to Finding Neverland, which will close at the venue on August 21. Charlie and the Chocolate Factory is scheduled to officially open at the theater on April 23, 2017.